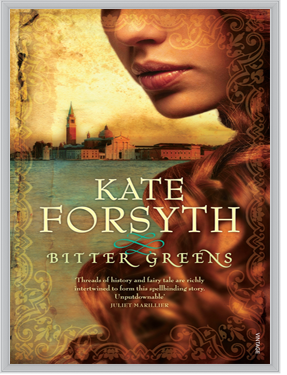 As part of the book release tour I am happy to share my review of Bitter Greens with you today, along with an interview with the author Kate Forsyth. A copy of Bitter Greens was provided by the author for review purposes. Selena is the famous red-haired muse of the artist Tiziano, first painted by him in 1512 and still inspiring him at the time of his death, sixty-one years later. Called La Strega Bella, Selena is at the centre of Renaissance life in Venice, a world of beauty and danger, seduction and betrayal, love and superstition. There’s something mesmerising about Kate’s writing, something that weaves together the true story of a wonderful woman with the mythology of Rapunzel so you can’t tell where one ends and the other begins. The books is set out as a story within a story around a memoir, and I am impressed with the clarity with which it is delivered. I was sucked into the story literally from the first chapter: Charlotte-Rose is a powerful narrator with whom I sympathised with instantly. I found Margherita’s parts of the story wonderful as well – they are thrilling and bittersweet, but brilliantly written. I struggled with Selena’s section simply because I couldn’t imagine the difficulties in her life and the sacrifices she had to make simply to survive. These are three extremely powerful characters, each with their own trials and tribulations in life, linked through fate and magic and dark secrets across the ages. I’ve seen many a book review which uses the words “lush prose” and am always mystified by the idea. But if there’s a book that has prose that can be described as such, it exists in Bitter Greens. The settings of the story are vivid and well researched: Kate has accurately captured the landscapes, cultures and ambiance of the cities she describes in her book. 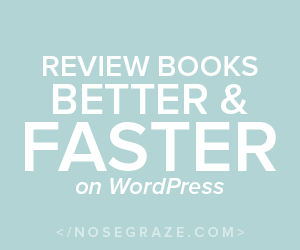 Bitter Greens is a excellent piece of historical fiction, one of the best I’ve ever read, and Kate shows her mastery at writing across genres in this book. A book you definitely need to pick up and read if you get the chance! BITTER GREENS is a wonderful story that weaves myth and history together seamlessly. What is the inspiration behind it? When I was a little girl I was attacked by a dog and badly hurt. One of my injuries was to my tear duct, meaning that I was unable to control my tears. I cried all the time. The tear duct would keep getting infected, which meant I was in and out of hospital all the time, half-blind and sick with fever. Books were my only consolation. One day someone bought me a collection of Grimm’s Fairy Tales. The stories in that small red leather bound book have been my favourite fairy tales ever since. One of them was Rapunzel. I felt such an affinity with her, locked away in her tower as I was locked away in my hospital ward. I was also very struck by how it was her healing tears which saved the prince from blindness. My tears were the cause of my sickness, and my blindess; how I longed to be healed. So began my lifelong fascination with the Rapunzel fairytale which has resulted in both the writing of BITTER GREENS – a retelling of the tale as a historical novel – plus my undertaking of a doctorate on retellings of the Maiden in the Tower tales. Were the ‘voices’ of Selena, Margherita and Charlotte-Rose hard to pin down? Not at all. I had a clear sense of their personalities right from the very beginning. I had immersed myself into Charlotte-Rose’s own writing, and in the letters and diaries of other women of her age, for a number of years, and so she in particular was her own self in my imagination. Similarly, Margherita felt very natural to me from the beginning – she was only a child when her story begins, and not very well-educated, and so her voice was simple and a little naive. Selena, my witch, was a little more difficult because I knew her story was dark and confronting, and so I left her section to the very end. Once I began to write it, though, she spoke to me very clearly. I wrote each of the three sections of the novel separately, and then wove them together, which meant I didn’t have to swap from story to story, and voice to voice. You went to Europe to research BITTER GREENS, what was that like? It was wonderful, as I’m sure you can imagine. I went with my three children, aged 7, 10 and 12, and we had a week in Paris, going to the Louvre and Versailles and other places where Charlotte-Rose would have lived. Then we flew to Italy, and had a week at Lake Garda, where poor Margherita was imprisoned in an old tower on the Rock of Manerba (a real place, and perfect for my needs). There are many Rapunzel-like towers built on the shores of Lake Garda, and it was easy to imagine how my story could really have happened. Then we had a week in Venice, and went on a ghost tour and a secret garden tour, which really helped me build the atmosphere of 16th century Venice in the book. Finally, we flew to Gascony, and visited the Chateau de Cazenueve, where Charlotte-Rose was born and raised. It was the most amazing trip, and I know my children will never forget it. How different was it writing BITTER GREENS, when compared to The Witches of Eileanan or Rhiannon’s Ride? The primary difference was the research. It took me seven years to write and publish BITTER GREENS, much longer than I had expected, because the research was so intensive. I was really like a detective, tracking down this woman who had once lived such a full and dramatic life, but had been relegated to a mere footnote in history. At times I was almost in despair, thinking it was an impossible task, but then I would discover a clue which would set me off again, and so slowly I uncovered the facts of her life. It was slow but utterly fascinating. The other difference was that I was determined not to change the facts of her life, and of the historical period at all. I used the facts as pegs around which I wove my own fancy. My earlier books were all fancy, and so were much easier. BITTER GREENS was an immensely challenging book to write, and so I feel huge satisfaction at having managed to achieve what I did. If you could give Margherita any three books to read during her imprisonment in the tower, what would they be? Books were rare beasts indeed in the early 1600s, particularly for the poor, and so there were few books to give. If I could give her anything, I think I’d have given her just one book, and that is BITTER GREENS. This is so she could know that she would escape in the end, and all would be well. It must have been so hard to keep hope alive in those long, dreadful years, locked away, alone, half-mad with loneliness and despair. Kate Forsyth is the bestselling and award-winning author of more than twenty books. She is currently undertaking a doctorate in fairytale retellings, having already completed a BA in Literature and a MA in Creative Writing. Since The Witches of Eileanan was named a Best First Novel of 1998 by Locus Magazine, Kate has won or been nominated for numerous awards, including a CYBIL Award in the US. 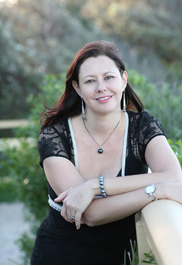 She’s also the only author to win five Aurealis awards in a single year, for her Chain of Charms series. Kate’s books have been published in 14 countries around the world, and her most recent book is Bitter Greens, a retelling of the Rapunzel fairytale interwoven with the dramatic, true life story of the woman who first told the tale, the 17th century French writer, Charlotte-Rose de la Force. A huge thank you to Kate and Random House Australia for the opportunity to review Bitter Greens, and to Kate for making herself available to answer a few questions.